Our Journey to a Strauss--Building a Ryan Home: We finally bought something! 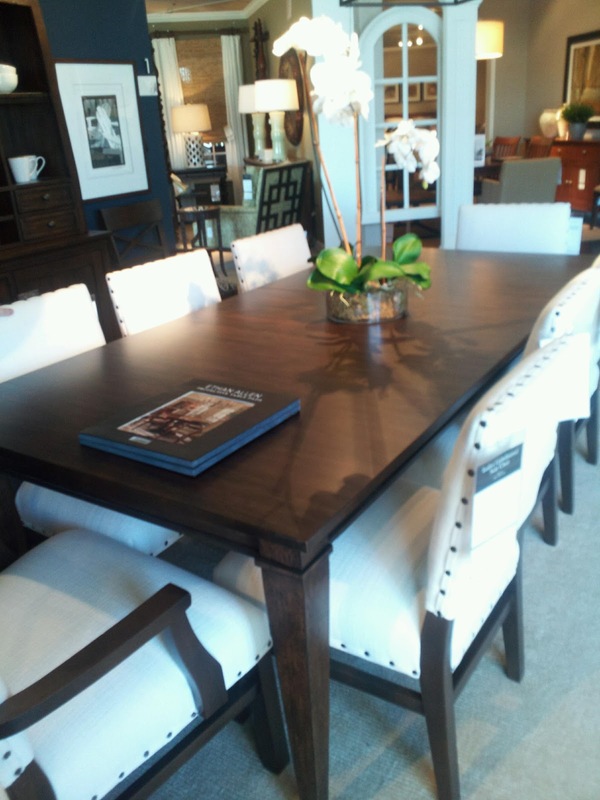 Three weeks and 10+ furniture stores later, we finally decided on our dining room table and chairs! We bought this table and chairs from Ethan Allen. Yes, it was expensive, but everything else we looked at was mediocre. I didn't want to settle. We love it and can't wait to get it delivered in our new home! It's lovely! And the white chairs are a beautiful, brave choice! Where are you building in VA? We're building an Avalon in the Richmond area. Thank you! Well, we got to choose our fabric for the chairs, and we ended up choosing an indoor/outdoor fabric---you can clean it with dish soap and water! They are a similar color to these, but a little darker. We are in Fredericksburg, only 45 minutes from you! The table and chairs are beautiful, some purchases are worth every penny and this is one of them. Its really pretty I love ethan allen we bought almost our whole house from there. Good choice and good luck! We only got the upholstered chairs for the ends, wood tops for the side chairs but the seats will be upholstered. We're hoping to keep it as clean as possible! For as much money as we paid, I'm sure hubby will be watching me like a hawk every time I eat lol. It looks beautiful! Love the white chairs with the darker table!